How interesting. I have never seen a water chestnut!! Only the ones that come in a can all cut up!! or at the Chinese restaurant. Really enjoying these shades of brown. 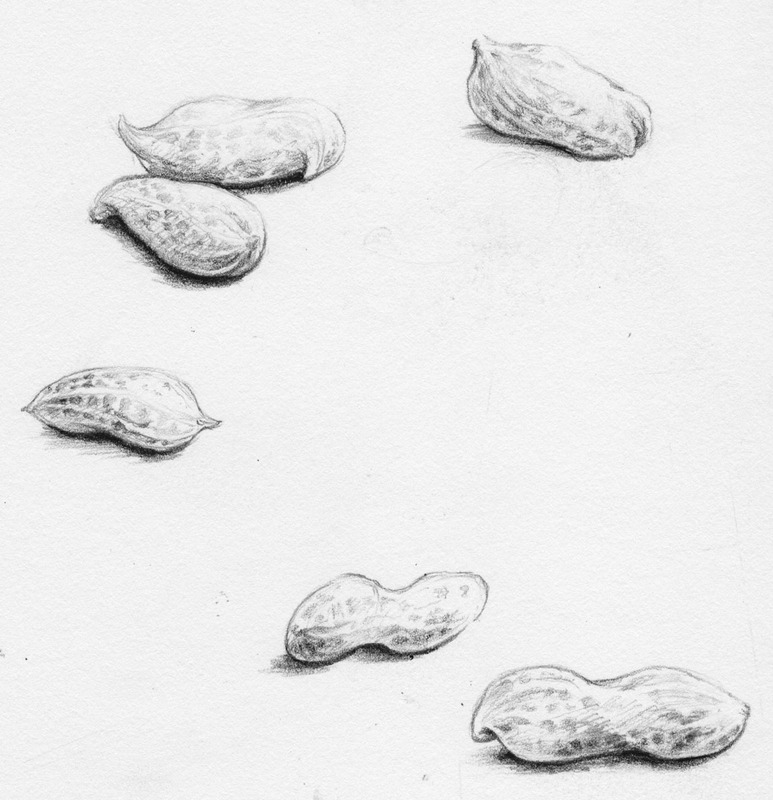 Peanuts we grow as a crop here but have never seen a water chestnut. Well in a can or the ones that you eat all crunchie. I saw your little sketch you did with the flowers also really like them also. These drawings are wonderful - thanks for sharing! 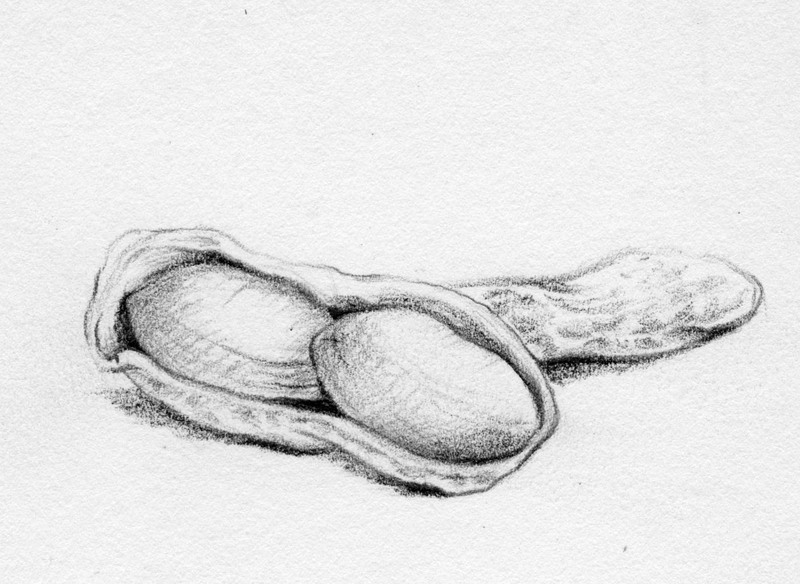 Amazing patience to draw peanut shells! I'd never seen a water chestnut in it's natural form before either. 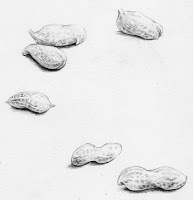 I can't believe your pencil drawings of peanuts were done quickly, they are amazing. 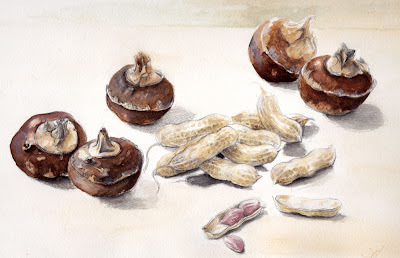 I love the textures you used on the peanuts and all the wonderful browns on the water chestnuts and peanuts. Beautifully done. Amazing work. Love the detail and shading. Beautifully done, Debra. Interesting to see water chestnuts in the shell.